Sony Mobile announced the Sony Xperia Tablet Z at MWC 2013. The Sony Xperia Tablet Z is the slimmest (6.9mm), lightest (495g) and water resistant tablet and it’ll will launch globally in Q2. The Xperia Tablet Z has 1.5 GHz Qualcomm Snapdragon S4 Pro Quad-Core processor, 10.1-inch HD WUXGA Mobile BRAVIA Engine 2 Display , 8 MP Rear camera with Exmor R and 2 MP HD front-facing camera. Sony new S-Force Front Surround 3D technology improve the audio performance alongside Sony’s Clear Audio+ mode and the innovative use of two in-built speakers with four ‘speaker halls’ on the left and right corners delivers amazing sound. Another exclusive technology Sony added is One-touch connectivity. Sony One-Touch functions that let users transfer content seamlessly from HD tablet to TV, tablet to the speaker or phone to tablet just by touching them together. 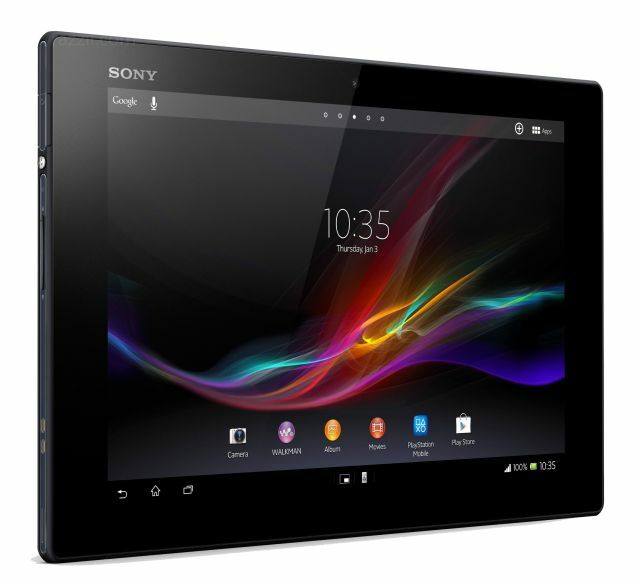 Sony Xperia Tablet Z Wi-Fi Variant also offers up to 64GB of storage with an optional MicroSD card. Xperia Tablet Z will launch on Android 4.1 (Jelly Bean) and is upgradable to 4.2 after launch for the latest Android user experience.